Submitted by lynn on Tuesday, January 16, 2018 - 5:54pm. While searching for a birthday celebration location, I was pointed in the direction of Tribute Pizza in North Park. This pizza spot can tempt taste buds with its popular house made dough and inspired toppings, baked in a hefty wood fired oven. The website points out free customer parking one block away but we found all five marked spots already occupied by 5:30pm on a Saturday evening! The restaurant was busy so I made sure to greet my guests at the entrance before we ordered food. "Tribute to Roberta's, Brooklyn, NY and Ben Adler, the Washington Post" was written on the menu between the pizza name and the ingredients. Surprisingly, I only remember seeing ingredients during our visit and just now realized the association to the restaurant name... Tribute Pizza. Wow, foodie brain distractions of toppings and talking to friends, yet I remember seeing the funny descriptions at Kafe Sobaka! 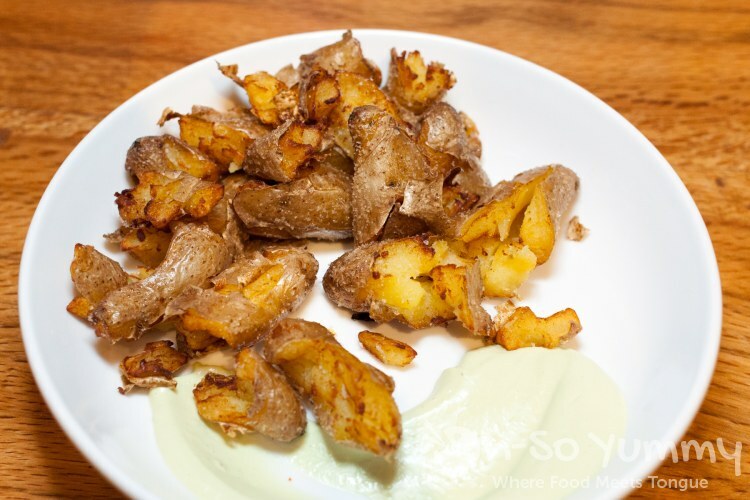 A few friends opted to share the sweet and spicy delight of the Dirty Dancin' pizza as well as these patatas bravas.They don't look like much but I didn't hear any complaints about it either! Thin crust pizzas could be seen flying into the air as staff prepared them for toppings and the wood fired ovens. For our friend's pizza, the crust was a little too charred, which gave the pizza a bit of a burnt taste. The pizza was quickly remade, and actually came out before our order arrived! I guess customer satisfaction made it a top priority. 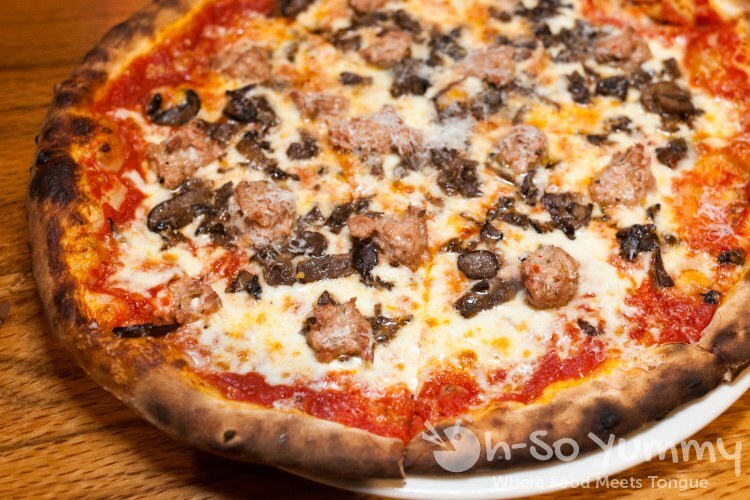 The flavor of the fennel sausage just popped amazingly! This meaty, rich flavored pizza turned out to be my favorite pizza of the night. I'll just call it the birthday foodie perk that allowed me to sample all pizzas. 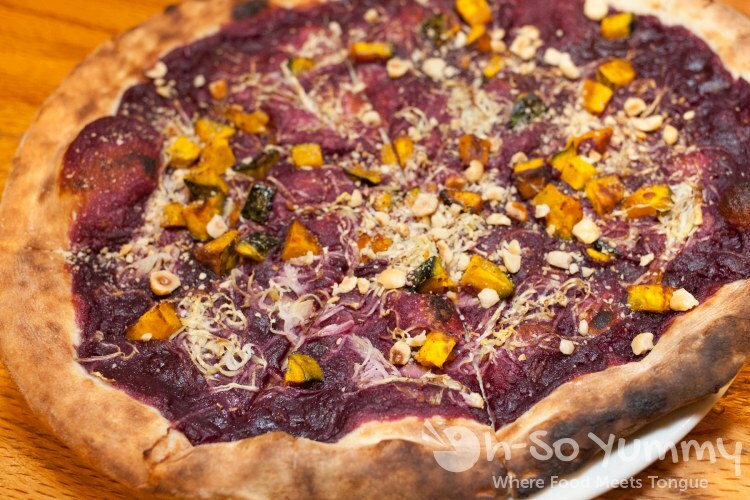 The next pizza grabbed our attention with the eye-catching purple hue! This vegan pizza had plenty of potato mash as well as some nuttiness from the squash. Overall it didn't have any strong flavors and I found it satisfactory. For Dennis, it was on the drier end and seemed to be missing a little something. I'd say that something was meat or cheese haha! Some of our friends enjoyed this more than others so it really depends on your taste preference. 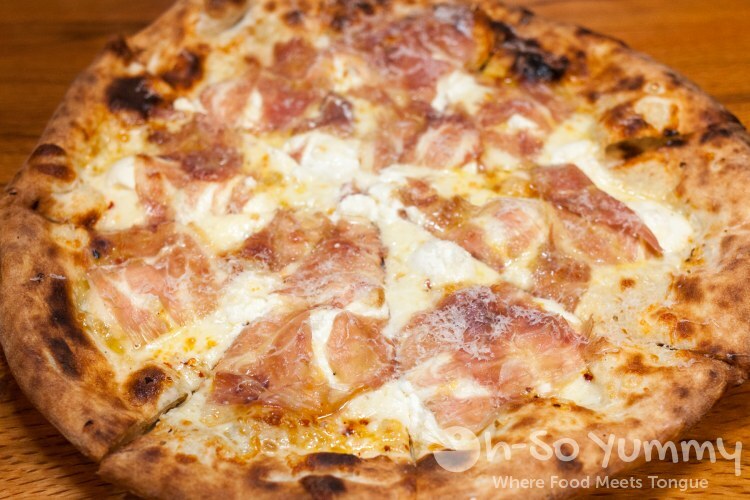 Our food blogger friend Mary ordered this one with prosciutto and ricotta. It was simple in ingredients though a little oily so I wasn't blown away by this sample. 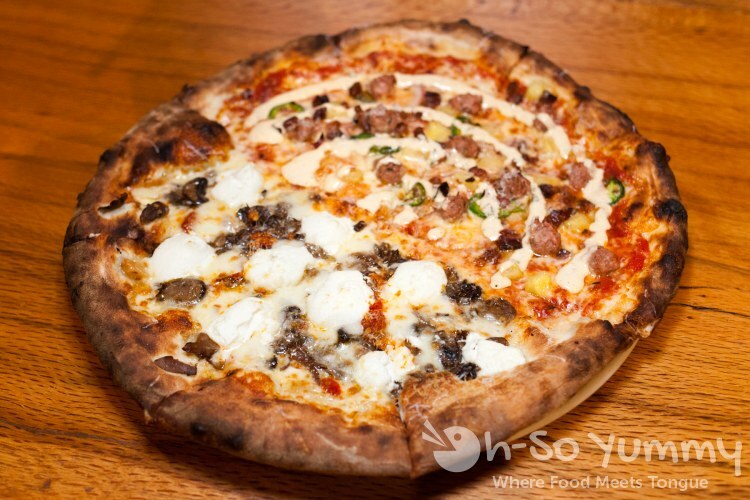 We didn't know about this option until our friends got this half and half pizza! It wasn't mentioned on the menu or if it was, we totally missed it! So jealous! This was a combination of our pizza choice and the first pineapple one. 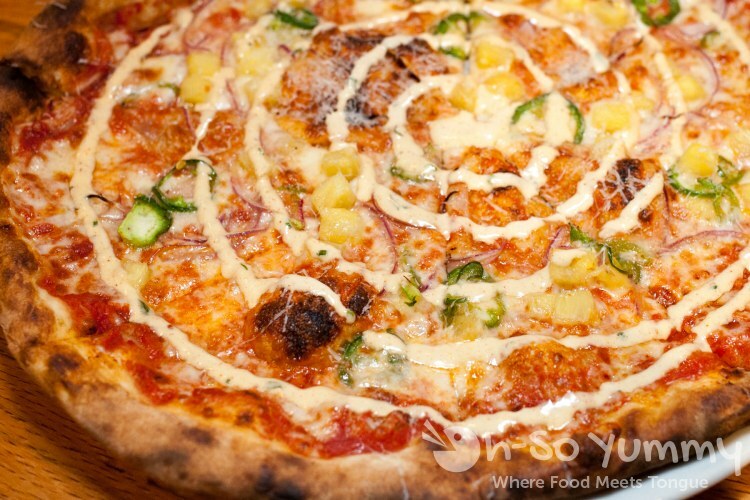 Tribute Pizza offers several toppings to go with their house made award winning focaccia. We chose the burrata, which appeared with an olive oil / balsamic vinegar dip. 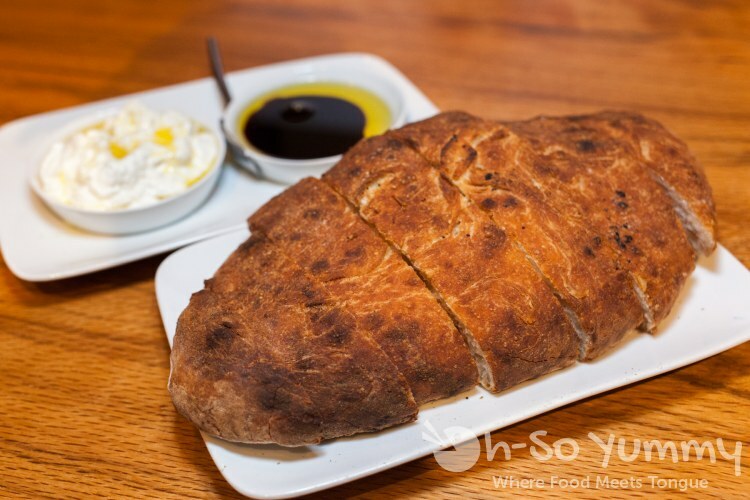 I happily topped the thick crusty bread with soft and silky burrata dipped into the fabulous balsamic mix. The beautifully fluffy bread soaked it all up! We'd definitely recommend this item with whatever toppings you prefer. Our pizza choice that day was sans meat. This packed rich mushroom flavors and a great cheesiness into one small package. The crusts on these pizzas were thinner style and not too crunchy. Each pizza was approximately 13" inches in diameter and sliced into 8 pieces. 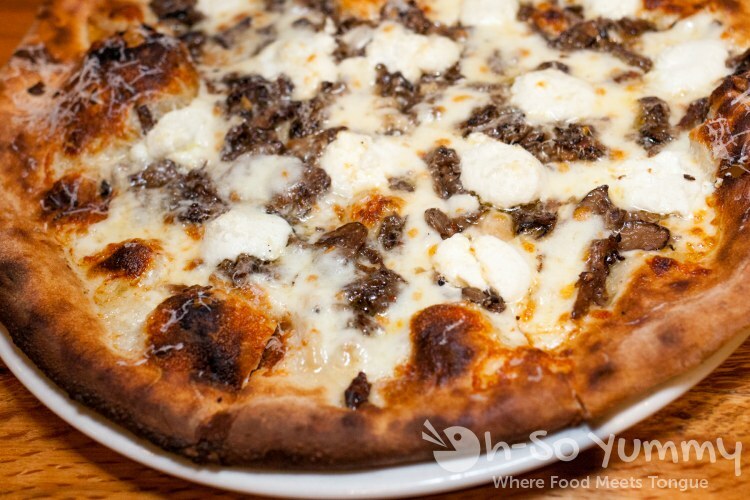 Pizza and an appetizer easily satisfied two people's appetites. 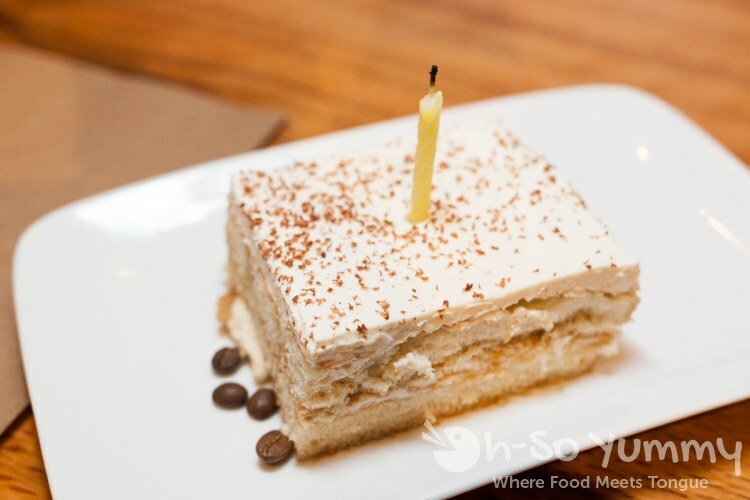 Later in the evening, the server brought out a free birthday dessert... tiramisu! This bad boy had an alcoholic appeal to it, due to its concentration of "liquor" in the layers. 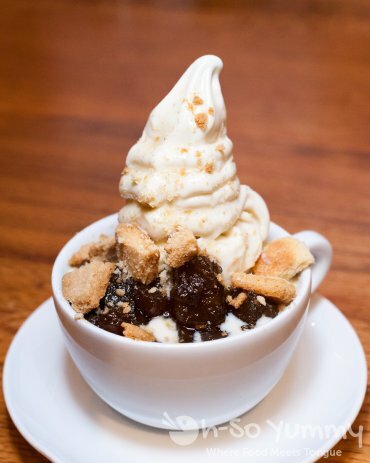 Is it possible to get drunk on dessert? On the sides were coffee beans that gave extra crunch. We passed this dessert around the table because we're friendly like that. Mary also picked up this super amazing looking desserts. Since ice cream is one of my favorite desserts, I would love to try it next time! Tribute Pizza has an open kitchen so you can really see what's going on behind the scenes. They also have 16 beers on tap as well as some wines so you can have a pleasant meal with food and drink. I'm thankful to be able to enjoy a night out with friends and hope to stop by again for more items, if not just more of that dreamy focaccia! I loooooove this place! Have you had their charcuterie? I like it almost as much as I like the pizzas! fin side note: I've been to Pizzeria Bianco in AZ too. I like this place better. LOL! Hi Lynn - Tribute is one of our favorite places in that area. You should try the roasted vegetables, cheese, charcuterie board which comes with the foccacia of the day. Also the foccacia with N'Duja is really good as well. Happy birthday again!! Thanks for the invite, it was fun trying out this spot and man, I did love that dessert! What a fun birthday dinner with friends. I want to carb out like that for my special day :( You're so tiny and skinny - jealous. I can't wait to try this place out. Soon. Carbs are yummy but gotta work out harder if you overdo it! Happy belated bday Lynn! Great choice for a bday dinner with friends! I loved seeing all of the different pizzas you ordered, especially the one with the purple potatoes! That was really striking looking! There were so many pizzas yu ordered that I hadn't seen in my previous visits. They must change up the menu from time to time, which is good. It keeps you coming back for more, heh heh! There was one time we sat near the open kitchen; it was fun watching the workers toss the dough into the air. it's cool how they dedicate a pizza to something so that's how the flavors change up. great chefs in the kitchen too. i like an open kitchen which also stays cleaner! Wow!! Looks like some great pizzas! The mademoiselle looks amazing. My wife Tasha and I always look for new places to eat. This might make our list.